To close its 18th season, Uptown Players will present the regional premiere of Bekka Brunstetter’s new comedy, The Cake. Della’s North Carolina bakery is legendary. 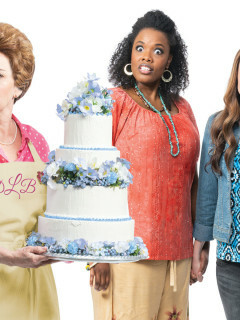 She is overjoyed when her best friend’s daughter returns from New York to get married and asks Della to make her wedding cake. Della, a sweet-natured Christian, is forced to re-examine her deeply-held beliefs and her own marriage when she realizes there is not one bride, but two. Faith, family, and frosting collide in this delicious new comedy from the writer of the NBC hit series, This is Us.